We will show and link to GTC Press articles and mentions here. MENIFEE, Calif. & MURRIETA, Calif. & TEMECULA, Calif. – July 17, 2018 – PRLog — Planning awesome parties and events just got easier! 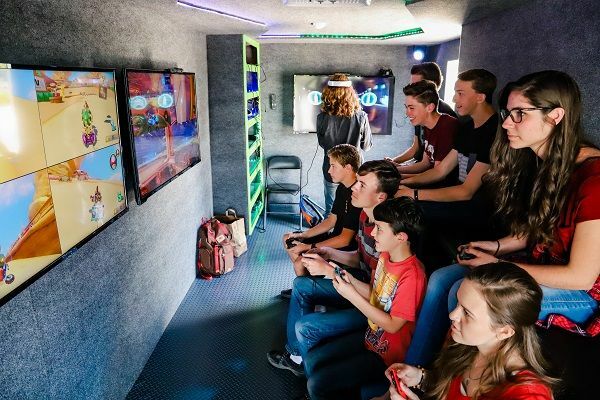 Their trucks feature 7 55-inch HD screens and can accommodate up to 26 gamers at a time. They have the latest games and game consoles including; 4 PS4’s, 2 Xbox Ones and 1 Nintendo Switch. Gamers have high-quality game controllers and VR capability at there disposal and enjoy gaming the climate-controlled trailers year-round. Game Truck Company owner, Collin Goldsmith had this to say about his motivation to start this company, “I had seen the increasing popularity of video game trucks and as I started to look into how they were run I just knew I could do a better job.” He continued, “I saw that we could offer higher-quality service at a better price point. Another thing I wanted to do was to use our trucks to help our local area non-profits. We call it our ‘GTC 4 Free’ program. Game Truck Company is a Veteran-owned company based in Menifee, CA, and services the communities of Southern California’s Temecula Valley.